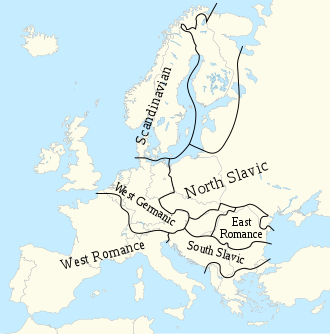 In a sense, the set of dialects can be understood as being part of a single diasystem, an abstraction that each dialect is part of. In generative phonology, the differences can be acquired through rules. An example can be taken with Occitan (a cover term for a set of related varieties of Southern France) where 'cavaL' (from late Latin caballus, horse) is the diasystemic form for the following realizations. ↑ Shorrocks, Graham (1998). A Grammar of the Dialect of the Bolton Area. Pt. 1: Introduction; phonology. Bamberger Beiträge zur englischen Sprachwissenschaft; Bd. 41. Frankfurt am Main: Peter Lang. pp. 41–46. ISBN 3-631-33066-9. ↑ Dollinger, Stefan. 2015. The Written Questionnaire in Social Dialectology. Amsterdam: Benjamins, chapter 1. ↑ Chambers, J.K., and Trudgill, Peter. 1998. Dialectology. 2nd ed. Cambridge University Press. Cambridge. ↑ Chambers, J.K.; Trudgill, Peter (1998). Dialectology (2nd ed.). Cambridge University Press. p. 6. ISBN 978-0-521-59646-6. Weinreich, Uriel (1954). "Is a structural dialectology possible?" (PDF). Word. 10: 388–400.